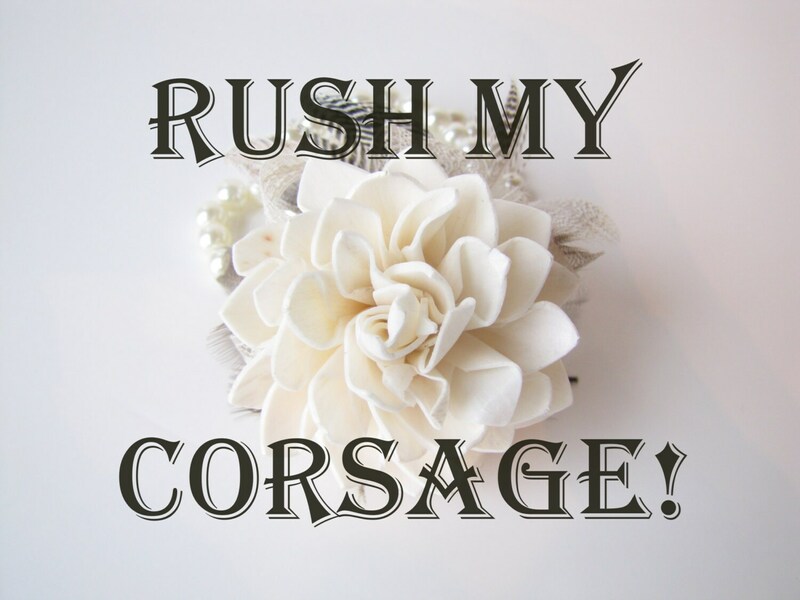 Need your corsage sooner than 2-3 weeks? Add this item to your cart along with the corsage you want and the production time for your order will be 5-6 days. It will ship via USPS priority mail (2-3 days). This means your order will arrive 7-9 days after you place your order, given there is no weather delays. Please include your deadline date in the “note to seller” section at checkout. ORDERING MORE THAN ONE CORSAGE? The rushed order is $5 per corsage. Add one of these to your cart per corsage. For example, if you are ordering 5 corsages, than purchase 5 of this listing. So beautiful!! My daughter can’t wait to wear it for her prom!!! Kim was great to work with! It arrived way before estimated arrival date in perfect condition. Beautiful as always. Love your work! Rush shipping was great! I wrote with my order that it was for my son's homecoming dance that was two weeks away and I received the flowers that same week which was very much appreciated!